Have a fun day playing with colour. Learn to embrace some vivid colour to your paintings starting with a vibrant underpainting. We will review some colour theory and what it takes to create a colour filled dynamic painting. Sam Paonessa AOCA, OSA is a graduate from the Ontario College of Art in Toronto. His career as a professional artist spanned over 30 years with Hallmark Cards. During that period Sam traveled and painted plein air landscapes in North America, Italy and Morocco. 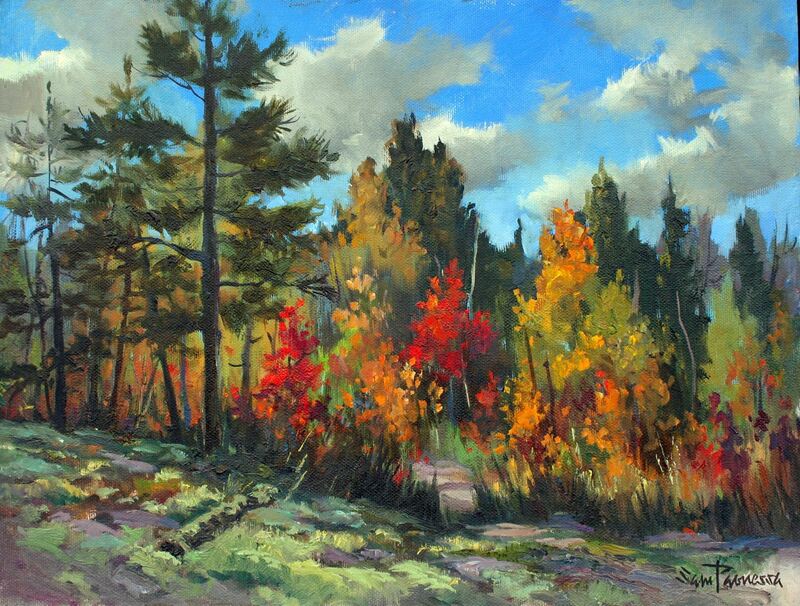 As an active member of the Ontario Society of Artists, he has been sharing his valuable experience gaining recognition as an accomplished painting workshop instructor for numerous art groups across Ontario.